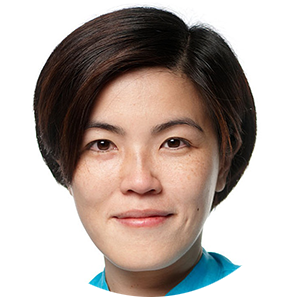 Dr Jeanne Ng is currently the Director of the CLP Research Institute and has been with CLP for almost 15 years, helping to start and head up the Group Environmental Affairs and Group Sustainability departments. She holds a BSc in Toxicology from the University of Toronto and a PhD in Environmental Management from the University of Hong Kong. She has extensive experience in the environmental industry and has held senior roles in international environmental / engineering consulting companies prior to joining CLP. She was involved in most of the early Hong Kong governmental air pollution and climate strategy and policy studies and is regarded as one of Hong Kong’s experts in air and greenhouse gas emissions inventories. Dr. Ng is currently a Board member of a number of organisations including the Julie Ann Wrigley Global Institute of Sustainability at Arizona State University, the International Emissions Trading Association (IETA), the International Integrated Reporting Council (IIRC) and the Hong Kong Institute of Qualified Environmental Professionals (HKIQEP). She is also a Stakeholder Council Member of the Global Reporting Initiative (GRI) and is a member of the Prince’s Accounting for Sustainability Project (A4S) Expert Panel. She is also a member of the Project Advisory Panel for Emerging Forms of External Reporting under the International Auditing & Assurance Standards Board (IAASB).